Vince Pujol (Electro Synthetic Rebellion, Diverje) and Tommy T (Diverje, inFused and DSBP label owner) know each other for quite a long time now. They’re not only involved in Diverje, but still in Bio-Mechanical Degeneration. 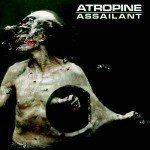 This project got a bit lost from our radar as the debut-album “Exoskeleton” was released 11 years ago now. “Warbeats” is a new and great dark-electronic opus, which will bring this band back on the map. The album has been released on Advoxya Records. Here’s what both mates have to say about their new work. Q: Let’s take off with the binning, how did you guys ever met and finally set up this common project with this crazy name? What is it all about? Vince: I was a young artist trying to get in touch with people in the scene so I sent a demo CD-R to Tommy who got into it and brought me support through the Cyberage radio show, this is how we first met. 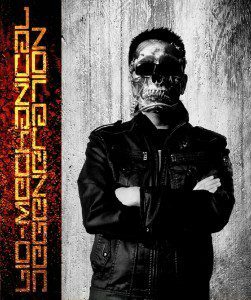 After my debut album “Distorted Vision” got released in Europe, I was looking for a label to release my second album “Corroded Fragments” and Tommy/DSBP signed me. We became friends and since the beginning we share our passion for electronic/industrial music. In 2004 I had the idea of releasing some dark sci-fi instrumental tracks I had composed. I don’t exactly remember how I came to Bio-Mechanical Degeneration but I was looking for a crazy dark Sci-Fi oriented name! Then we started talking with Tommy about a possible release and he suggested to sing some of the songs. So I asked him if he wanted to join me and we started our collaboration on “Exoskeleton”. The project is very dark, kind of apocalyptic, it’s all about the degeneration of the human race leading to hybridization with robots. Tommy T: I have always admired Vince’s work from the beginning and we have made some great tracks together since then and it is always fun! We were friends from E.S.R. and Cyberage meeting and then DSBP signed E.S.R. and we realized how much we both loved dark-electronic music, and then I asked him if he would collaborate with me in some Diverje tracks too! Q: Why did it take 11 years to compose and release a new full length after the “Exoskeleton”-album and how do you look back now at this debut opus? Vince: I remember during an interview concerning “Exoskeleton” we said we’ll do another one but then we both get back to our main projects and forget a bit about the project. I have thought about a new album several times, but couldn’t really find the inspriration to start something new and different from our main projects. In 2013 as I was looking for new sample libraries, I found a very interesting one and I asked myself how could I use it and like a sparkle in the night I immediately thought about the rebirth of Bio-Mechanical Degeneration with a more EBM/robotic approach. I composed a few demos and send them to Tommy to see how he felt about them and that’s how we decided to work on that new album. When I look back and listen to “Exoskeleton”, I like the experimental approach and I like the way we did something different. It was also my first collaboration with someone since a long time and I’m happy we did it with Tommy because it’s important to do things with friends and people you share your passion with. From a technical point of view I think I would mix the songs a bit differently nowadays cause it sounds a bit ‘raw’ when I play it now but I did my best at the time with the gear I had. Tommy T: I personally LOVE the “Exoskeleton”-CD as it is so unique overall in sound and the way we produced it together… the songs are still very fresh more than 10 years later too! We have been wanting to do this new “Warbeats” 2nd album for awhile now, but we are both always busy it seems with work, music and life, we are definitely inspired to make the next album within a couple years. I love how both albums have their own sound and identity, and we will build upon that. Q: May I affirm that the main difference between both of your albums can be heard in the remixes you made of 2 songs that were originally released on “Exoskeleton”? What did you try to change/improve? Vince: Yes, that’s right. Studio equipment and techniques have changed in 10 years, there’s nearly no limitations these days so I wanted to take the best songs from the debut album and take them to a new level. I didn’t really want to change the songs but just want to have a better production and add little things there and here. Note that the remix version of “Hybridization” comes from a DSBP compilation, that was not the original version appearing on “Exoskeleton”. I also think our skills in writing and working on arrangements, effects and mixes have grown over the years and it shows with that new album. Tommy T: Yes, as Vince said, we wanted to re-release these 2 tracks with a newer sound and mix, as bonuses and to connect the old and new! Q: You already said a word about the influences running through “Warbeats”, but tell us a bit more about the writing process? Vince: “Warbeats” was first inspired by a Sci-Fi/robot Fx sample library. I wanted to mix together hard electronic basses with strong beats and lots of Fx samples, that’s how the first demos came out and that’s how the album took shape adding melodies and working on the arrangements. The treatments on the vocals have been pushed to a new level too with lots of different effects. The inspiration here is all about sci-fi, robots and aliens! Q: What are the main differences between Bio-Mechanical Degeneration and all the other projects you’ve been involved to? Vince: To me “Bio-Mechanical Degeneration” is a lot more Sci-Fi oriented and ‘mechanical’ than Electro Synthetic Rebellion. It’s harder too with a lot more harsh/tortured vocals. It’s interesting to have another project in addition to my collaborations with Diverje so I can experiment new things, new atmospheres and sounds. As a composer I think it’s important to have different sources of inspiration and develop different things so you’re not “locked” into one and only project especially when your project is nearly 20 years old. But obviously some people will recognize some kind of ‘song writing signature’ or even ‘sound signature’ because the gear, the studio and the men are the same. Tommy T: I really enjoy the differences with Bio-Mechanical Degeneration and my other projects Diverje and in-Fused! Diverje is more of an aggressive industrial, harsh EBM/coldwave mix, with lots of ferocity, and in-Fused is more experimental, IDM, wave, power noise, trance influenced.. Between all 3 projects I feel pretty balanced and doing all kinds of awesome electronic/ industrial music! Q: Tcheleskov Ivanovitch (Grandchaos, Grand O Signal) contributed to one of the songs. How did you came to work with him and what did he add to the song & album? Vince: I know Tché for quite a long time now and I think we share the same passion for music. I remember a long time ago we were talking on the phone and we said we should try to collaborate together in the future so when I started working on “Warbeats” I immediately though about inviting Tché. That was an open process, I sent a few demos to Tché for him to see what the project was all about and asked Tché to start composing and to send me whatever he wanted (sequences, sounds, loops, etc). Then step by step I tried to arrange my parts with his parts and we talked about the direction of the song until the final version of the song. Tommy T: I love this track with Tché! He added a lot to the sound and I look forward to having him work with us on more music in the future!! Very cool sound and he loves the dark electronic music as we do! Out now ! 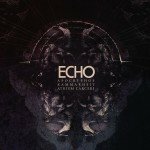 Apocryphos, Kammarheit, Atrium Carceri reunite for 'Echo' album - preview all tracks !